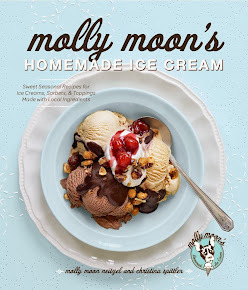 molly moon's homemade blog: MS. MOON IS GOING TO WASHINGTON! MS. MOON IS GOING TO WASHINGTON! As many of you already know, Molly Moon Neitzel is no stranger to politics. She fronted the political nonprofit Music for America from 2003 to 2007, managed King County Executive Dow Constantine’s county council campaign in 2007 while writing her business plan for her first ice cream shop, and is an active member of the Main Street Alliance of Washington, a network of progressive small business owners. This past Saturday, Ms. Moon along with other Seattle business owners, was invited to participate at the White House tomorrow in a closed press conversation on jobs, the economy, and opportunities in which the Administration and the Seattle Business Community can work better together. Talk about a HUGE honor? Ms. Moon was thrilled and accepted the invitation immediately! The specific purpose of Thursday’s forum is to solicit input and perspective from Seattle-area business and civic leaders on employment, the economy and job creation. Senior Administration officials will provide an overview of current efforts to spur economic growth and Administration priorities. The morning will cover a range of topics as they relate to the Seattle business community and the economy. Ms. Moon believes one of the greatest joys of owning her own business is the ability to create nearly 20 jobs each time she opens a new ice cream shop. And, she couldn't be more anxious to hear the Administration’s thoughts on job creation, and specifically how they plan to continue to invest in our communities by keeping funding for jobs in education, first responders, and health care – all of which are critical positions that keep our local economy alive! Ms. Moon also plans to stress to Administration officials the importance of health care tax credits and how these should be offered more to businesses like Molly Moon’s, which pays 100% of the health care premiums for their employees, including those who work part time! Since April 2011, the White House Business Council has held over 500 meetings with business and civic leaders in all 50 states, Washington DC and Puerto Rico. The purpose has been to receive feedback on what the Administration can be doing to support job creation, and to make local business leaders aware of the Administration programs and resources that can help their local economies grow and succeed. Let's wish Ms. Moon the best of luck!